Permalink Submitted by Siteadmin on June 2, 2012 - 14:19. Testlink 1.9.3 is the latest released stable version. This release does not require an update of the database scheme if you are updating from Testlink 1.9.2. Permalink Submitted by Siteadmin on April 5, 2016 - 08:54. 1. 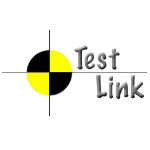 Posted 03/09/2016: I've been using TestLink since 2012 from 4 different companies. Now, I was able to implement the latest version in our team and integrate it to JIRA and Jenkins with our test automation tool SpecFlow - .net Framework. Very reliable process flow for the QA team given that it is an open source. Here's our simple process: Create TestPlan in TestLink with the covered test cases > Link the specs/requirements if needed > Link a JIRA ticket if needed > Configure a job in Jenkins > Run the automated tests > Test execution status for your test plan will be reflected or automatically updated in TestLink > generate a test plan report. 2. Posted 04/29/2014: After 1 year incubating TestLink, we finally implemented it in our QA team (mostly, finding a way to organize our activities now with TestLink) Greatly help QA members to organize testing activities by centralizing of: Criteria, Test evidence and even, monitoring testers activity. Successfully managing 3,000+ test cases by now each with notes, attachments, linked to Bugzilla reported issues etc. 3. Posted 02/25/2014: It made not for a large amount of tests; some repeated looping and pure database design slows down test loading and saving for execution statuses. If you have more than 2000 tests per project, this tool is not for you. 4. Posted 01/03/2014: Good program that does what it says. We have moved all our test cases and projects into the application to monitor and report on our testing. I would recommend it.